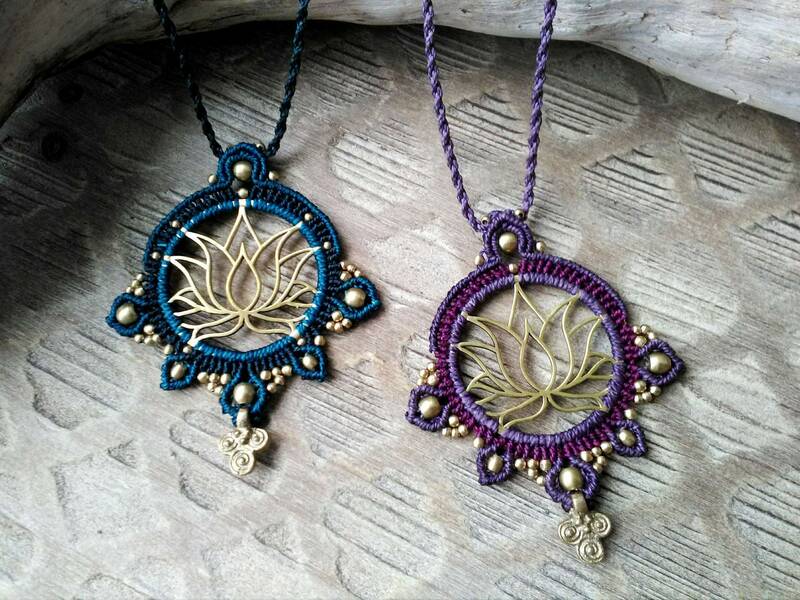 Beautiful Macrame pendant, made of knots with lotus flower and 1 st quality brass fittings. This alloy is nickel free and can get wet. 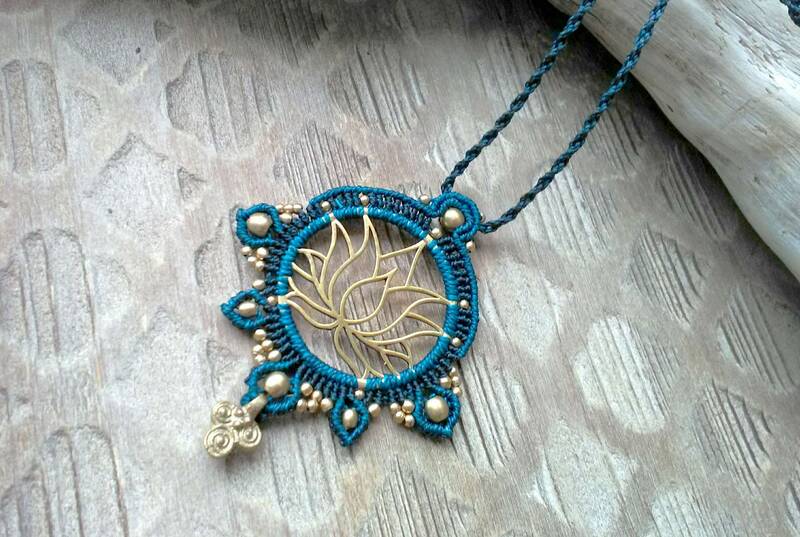 The necklace has as a closing a sliding knot so it is adjustable in height. 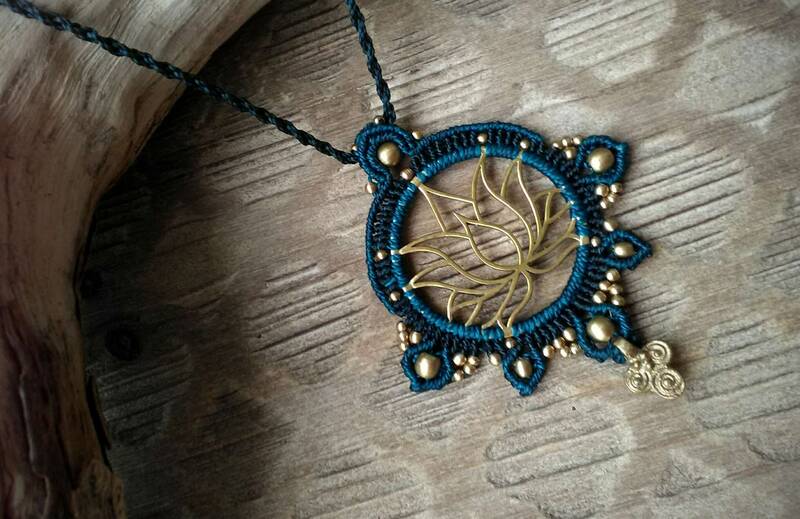 Made by Iñaki upon request in the beautiful island of El Hierro, in Canary Islands. Now you can also find us in our store: ESPACIO LUNA EL HIERRO, at calle Tigaday n18.